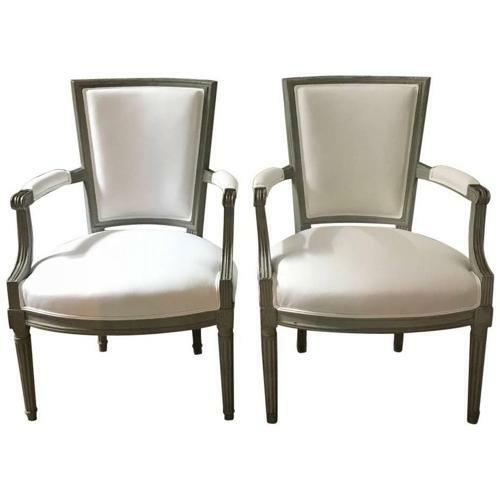 Pair of French cabriolet Louis XVI armchairs from the 18th century, solid and very comfortable with their curved backrests. The wood is beautifully carved and keeps an ancient grey paint. Although the armchairs have been reupholstered in a elegant white plain cotton fabric, the seats keep the original horsehair stuffing.